For $5,- I could simply not resist. Not only is this a full blown computer with micro-hdmi out, it also can be used to connect other hardware to it with ease. The connector on the right is there to connect a camera to the PI Zero. Well, after installing raspbian onto a micro-SD card, I went ahead and bought a camera as open-box item for only $12,- and got the combo to work in no time flat. However my issue was not so much the price of these devices, after all it takes a lot of effort and money to develop a great product, it was the physical shape and size which made any of the available products unusabe for me. 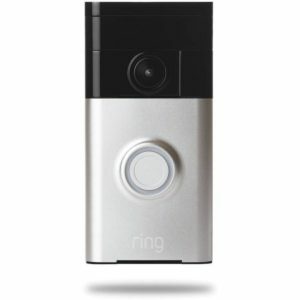 So I thought I would simply add a few pieces together and create my own Video Doorbell from scratch using the PI and a few other software and hardware parts, which can be found online. 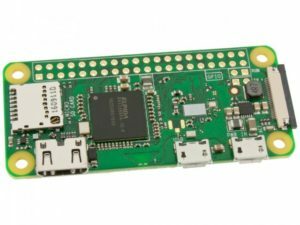 It is of course very helpful, that there is such a huge community behind the PI and that almost everything you can come up with has been attempted before. So googling around I found a bunch of sites with similar goals, like this one here. Here are the next steps to get from idea to finished project.